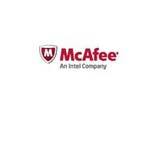 McAfee Management for Optimized Virtual Environments (MOVE) Anti-virus optimizes McAfee virus protection for virtual desktops and servers without compromising performance or security, helping you realize operational returns and more effective security management. McAfee Management for Optimized Virtual Environments (MOVE) Anti-virus delivers improved performance and resource utilization for virtualized environments. Designed specifically for these environments, MOVE Anti-virus employs and optimizes the virus-processing abilities of McAfee VirusScan, allowing you to obtain higher operational returns and decrease deployment risk.